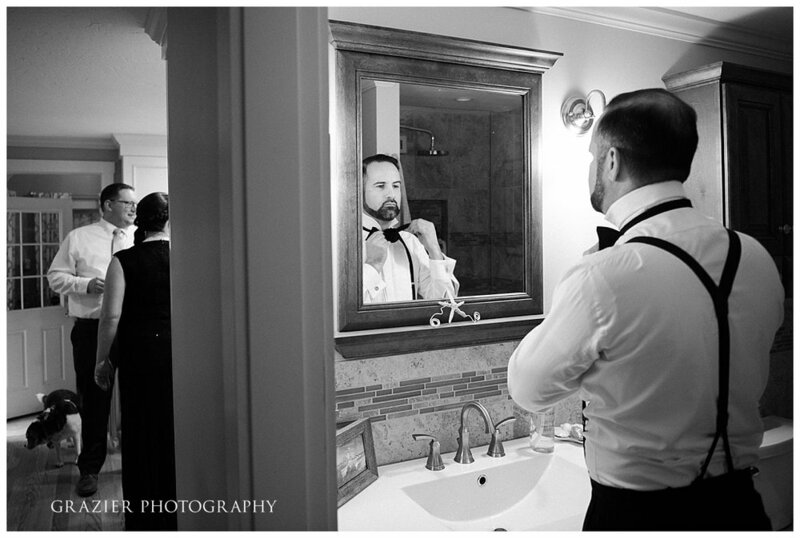 One of the great joys of being a wedding photographer is that when you meet an amazing couple, you get to know and photograph the weddings of their amazing friends. 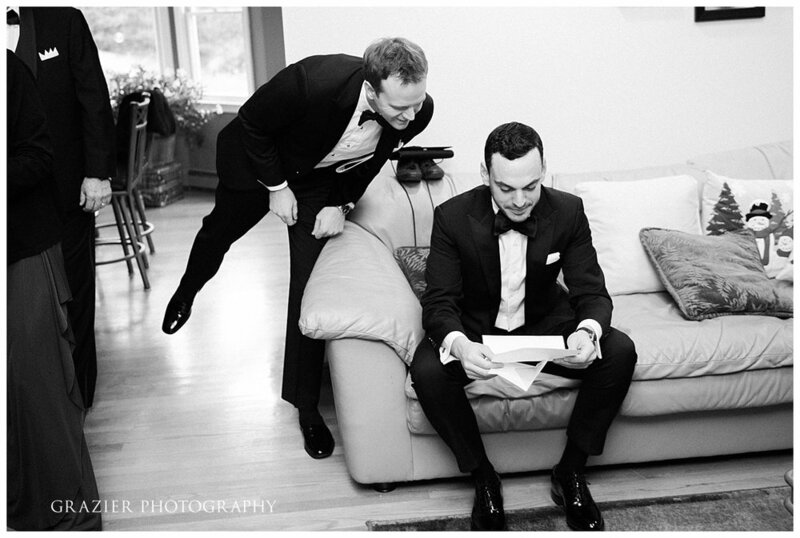 We met Mike and John through such friends, Emily and Vadim, whose wedding we photographed in 2016. And next year we get to photograph Jaye and Sam's wedding! Michael and John are two of the nicest and most thoughtful people we have ever met. This was validated again and again through the entire wedding day with the show of support and love from their friends and family. 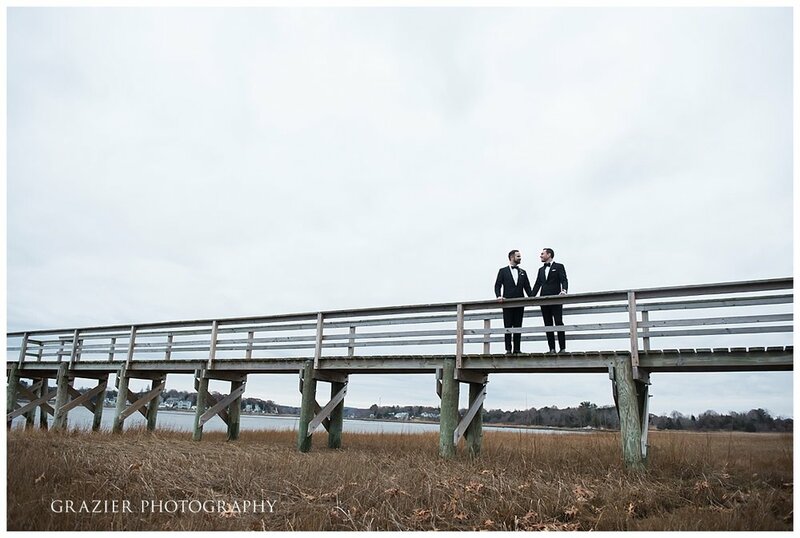 They chose Jones River Trading Post for the venue as it is close to where they both grew up, near gorgeous cranberry bogs and the seashore. 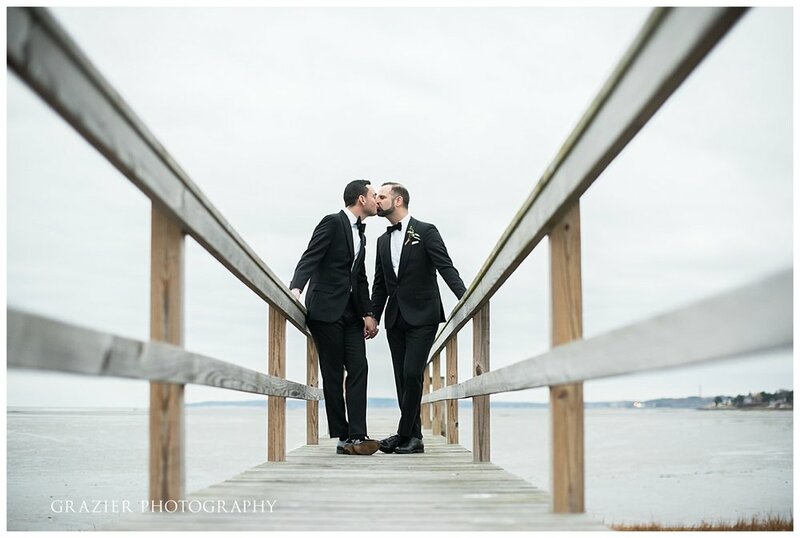 They started the day getting ready at their parent's homes, and met up for their first look on a private dock on the bay. 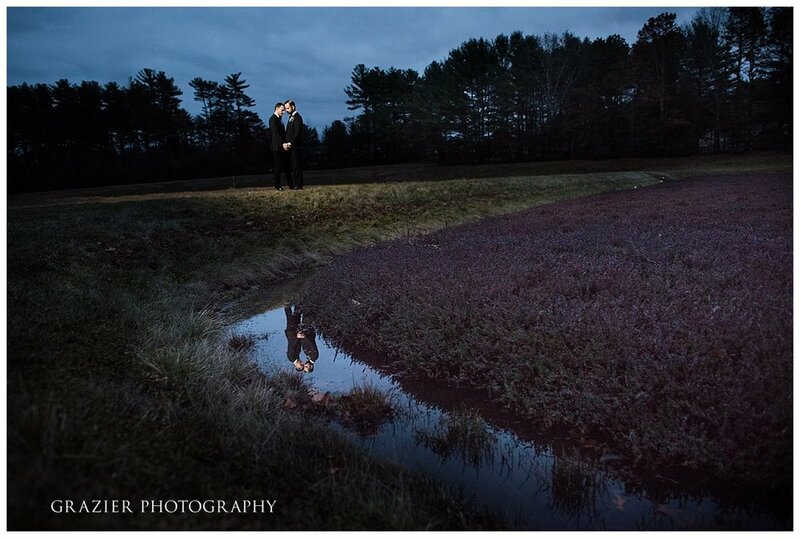 We had just enough twilight to get a beautiful portrait of them at a cranberry bog en route to the reception. The ceremony was officiated by a friend and held inside the reception hall. 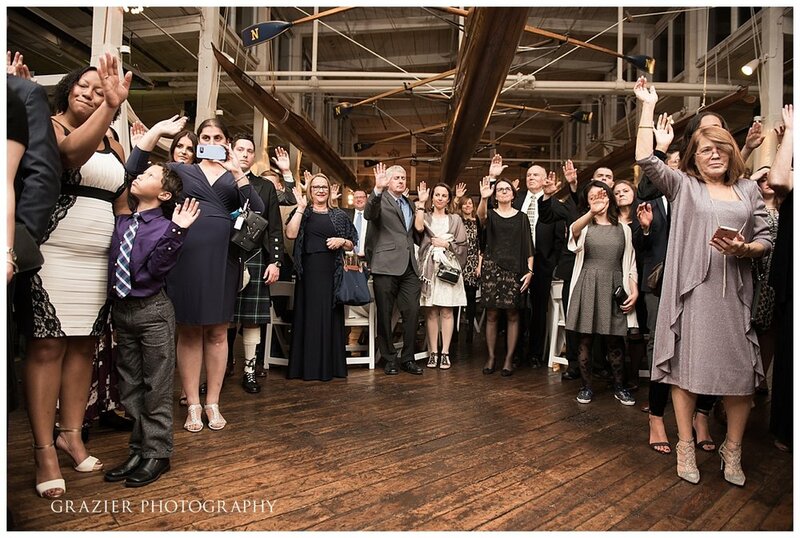 Guest showed their support by raising their hands to bless them as part of the ceremony. After the ceremony and cocktail hour, East Coast Soul turned up the volume and the dance moves, raising the roof well into the night. 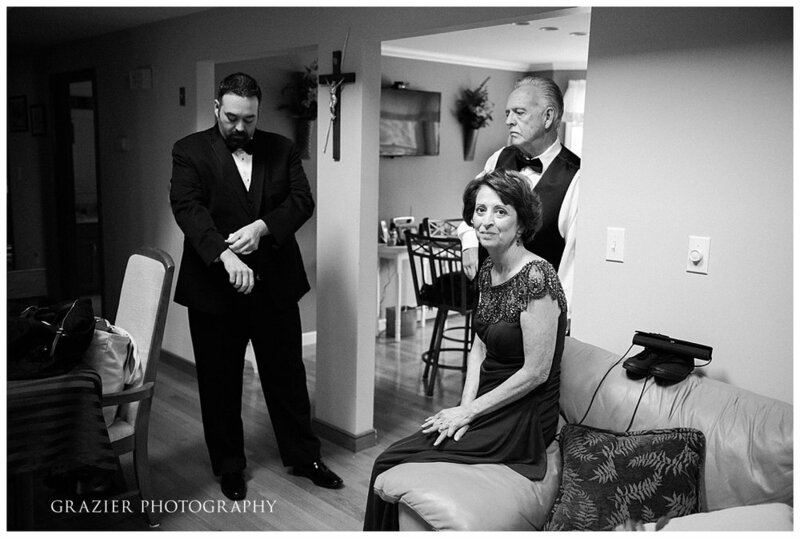 It was an honor to be there for them and we are excited to be sharing their photos. 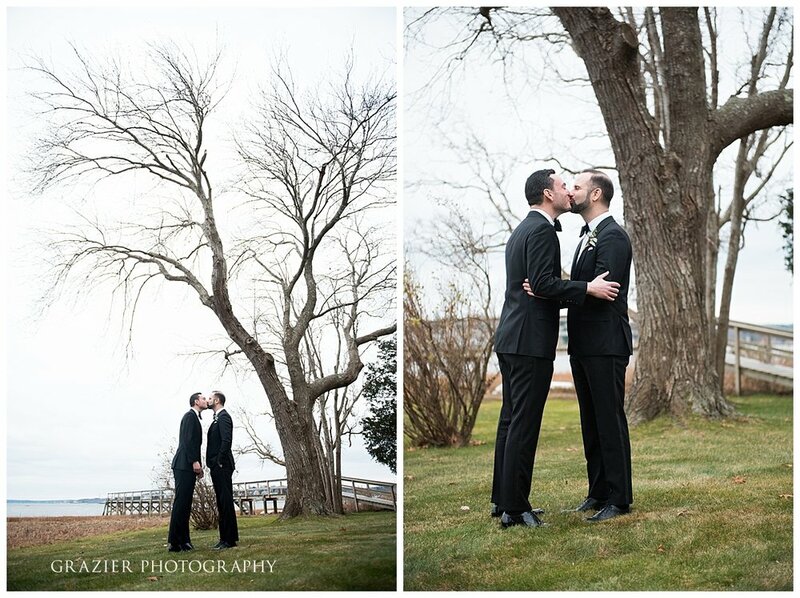 Congratulations Michael and John! !